On the first day back to your school, you can signal the change in routine with a wonderful read-aloud. Find a book you can all enjoy and read two or three chapters that first day. You want to get far enough into the story so that your students eagerly anticipate reading more tomorrow. Then, move on to reviewing some basic skills. This can take the form of flash cards, an app, computer drill, song, or other method of practicing math facts, phonics rules, sight words, and other items previously studied. Next comes some important life skill training. Practice sorting, organizing, and categorizing as you all work together to put away the last of the holiday decorations. As you pack them away, you can identify them by color, sort them by shape, compare them by size, and categorize them by function. Even children too little to be allowed to touch fragile decorations can observe them thoughtfully and answer questions about them. If your holiday decorations are already packed up, then you can practice these same skills as you get caught up on the laundry. Whether it’s sorting the clothes and linens to be washed or folding and putting away the clean laundry, your children can still sort and categorize by color, size, and by who each item belongs to. Don’t underestimate how much learning can happen through these types of informal experiences! For your second day back to school, continue the read aloud. Then move on to some friendly inter-sibling competition on the skills they practiced yesterday. See who can complete a drill the quickest. For example, time your younger student on 20 addition flash cards while an older student might need to cover 30 division flash cards. But have them compete against each other for the fastest time with the most accuracy as incentive to master and review those basic skills. In fact, if you promise a rematch in a few days, you just might catch them practicing on their own time too. Afterward, introduce their next science topic with a fun experiment or preview their historical study with a video. Then continue the life skill training with cleaning up and organizing their rooms. Help them find places for the new toys and gifts while looking for items to be given away. Sort through their clothing and put away or give away items which no longer fit. It’s much easier to keep their shelves and drawers organized when they have fewer items to deal with. Continue with re-establishing healthy eating habits and maintaining a consistent bedtime. 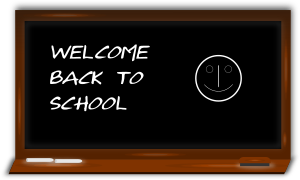 By the third day of school, you can begin to add in a regular school subject or two each day. But plan on reviewing or re-teaching the last few days covered in that subject prior to the holiday break before you move on to any new concepts. Within a week or so, you should be back into your usual school routine. If your children are taking any group classes, you will need to review and prep for those classes first as you have less flexibility with that material than with the subjects you cover at home. Once you are back in the swing of your school routine, I recommend studying hard during these shorter daylight hours and cooler winter months. Work diligently through new topics and concepts, quickly covering as much as your children are able to master. Then you’ll be ready to shift focus and add in more outdoor learning experiences or take a short break when spring arrives. Don’t let post-holiday lag ruin your January homeschooling! Ease back into your routine, allow time for review and catch up, and work together to return your home to its pre-holiday state to make the transition from Christmas vacation to normal life a little gentler and easier.